The Arizona Poison and Drug Information Center is a center of excellence at the University of Arizona College of Pharmacy. The center is certified by the American Association of Poison Control Centers (AAPCC). We offer a public health service and are also a training site for students and healthcare professionals. The Medical Director of the poison center, Dr. F. Mazda Shirazi is an associate professor of emergency medicine, toxicology, pharmacology and pharmacy practice in the UA Colleges of Medicine and Pharmacy and Co-Director of the Center for Toxicology, Pharmacology, Education and Research. Dr. Shirazi earned an MD at the University of Arizona and also a PhD in Pharmacology and Toxicology. He completed his emergency medicine residency at the University of Texas Southwestern (Parkland) and his subspecialty training in medical toxicology at the University of Arizona. He also has Bachelor's and Master's degrees in Engineering with an emphasis in biomedical engineering instrumentation and biocompatible materials. An attending physician in emergency medicine and medical toxicology, Dr. Shirazi lists special interests in envenomations, drug-drug interactions and the public health implications of toxicology. He was recently a principal investigator in a Phase 3 pit viper antivenom and a co-investigator for scorpion antivenom study. He continues to be involved in benchtop, clinical, and public health research to benefit the citizens fo Arizona. At the UA College of Medicine in Tucson, he is in charge of the medical students and residents for toxicology rotation, the Director for the Medical Toxicology Fellowship Program and the Medical Director for the toxicology clinic. He has lectured and presented internationally throughout the Middle East and Asia. An instructor for Advanced Hazardous Material Life Support, he has taught and participated in many disaster and preparedness training exercises throughout the United States and serves on the scientific advisory committee for AHLS. The Interim Director of the poison center, overseeing operations and personnel, is Dr. Steven Dudley. Dr. Dudley is a board-certified clinical toxicologist who graduated with a PharmD from the University of Arizona College of Pharmacy in 2015, and completed a toxicology fellowship with the Arizona Poison and Drug Information Center in 2017. His fellowship focused on the assessment and treatment of patients presenting with pharmacological toxicity, overdose, and venom poisoning. Previously, Steven spent nine years working in retail pharmacy. In addition to his director duties for the poison center, Steven serves as the director of the APDIC Clinical Toxicology Fellowship program and as a lead for the Opioid Assistance and Referral (OAR) Line for the state of Arizona. Conducting education and outreach for the poison center is Laura Morehouse. Ms. Morehouse is a Certified Health Education Specialist with interest in program design, development and evaluation. She holds a Master's degree in Public Health with an emphasis in health behavior and health promotion from the University of Arizona. Before working with the poison center, she was involved in state nutrition program evaluation and health education curriculum development for youth. As the educator for the poison center, she is available for presentations on poisoning prevention, venomous desert creatures, elder adult concerns, and is a resource for toxic hazard concerns. Additionally, she is available for “Train the Presenter” programs catered towards healthcare professionals, community organizations, and adults who want to learn how to educate others about poison prevention. The Program Coordinator of MotherToBaby Arizona is Chris Stallman. Chris Stallman is a board certified genetic counselor with experience in cardiovascular and prenatal genetics, teratogen exposures, and pre-implantation genetic screening counseling. 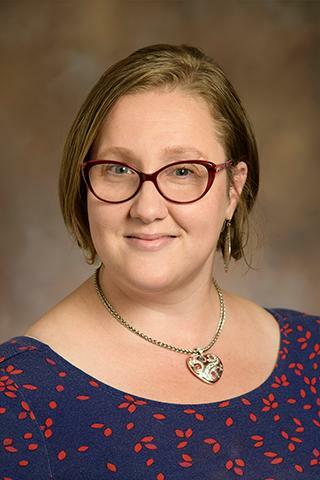 She joined MotherToBaby Arizona in 2015 as a Teratogen Information Specialist, and teaches teratology to medical students, residents and other health professionals. She received her Master's degree in 2011 from the Joan H. Marks Graduate Program in Human Genetics at Sarah Lawrence College. She served as Education Committee Chair for the Organization of Teratology Information Specialists (OTIS) from 2012 to 2016. In 2018, Ms. Stallman was appointed as Program Coordinator for MotherToBaby AZ. Dee Quinn, a board-certified genetic counselor, is a consultant for MotherToBaby Arizona. Dee Quinn was Program Coordinator of MotherToBaby Arizona from 1989 to 2018. She was Program Director for the University of Arizona Genetic Counseling Graduate Program (UAGCGP) from 1995 to 2005, which will re-open in the fall of 2019. She is a clinical instructor in the Colleges of Medicine and Pharmacy at the University of Arizona and teaches genetics and teratology to medical students, residents and other health professionals. She received a BSN degree from the University of Bridgeport in 1975 and her Master's degree in Genetic Counseling from Sarah Lawrence College in 1981. She began her career at the University of Connecticut, where she developed the Connecticut Pregnancy Riskline. She served as President of the Organization of Teratology Specialists (OTIS) from 1999 to 2002 and Executive Director from 2005 to 2012.